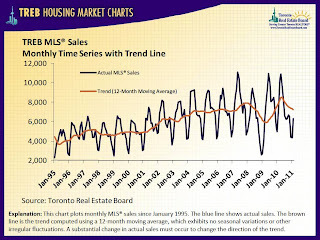 This is another video from TREB (Toronto Real Estate Board) and it talks about HST and how it applies to the real estate transaction in the GTA and Toronto areas, enjoy! 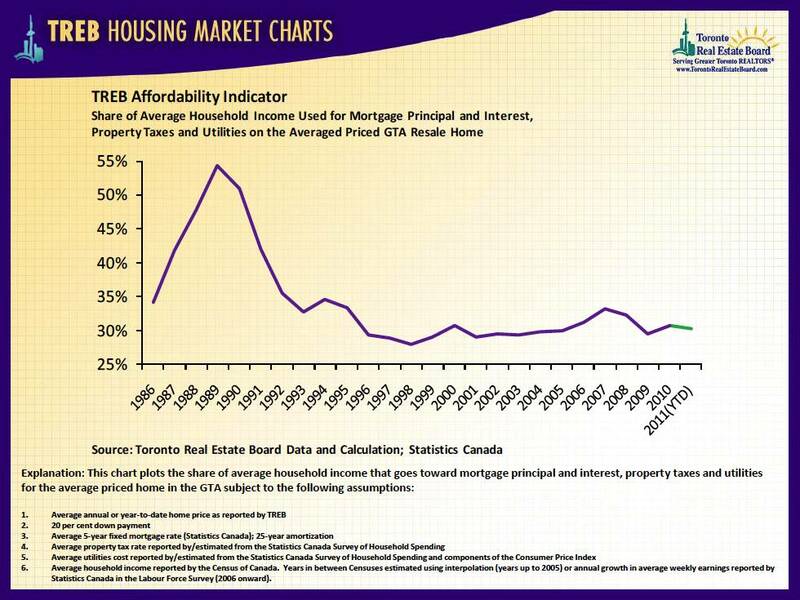 People sometimes are confused between the term, amortization and the rate of a mortgage. 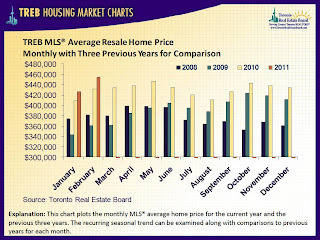 I was asked the following question: Are the rates on your website based on a 5 yr/25 yr amortization? Hi M ., Thank you for your real estate inquiry. 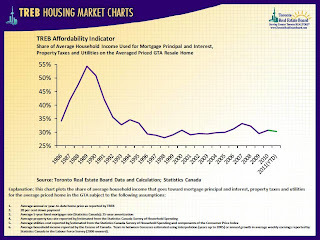 Rates vary depending upon whether they are open, variable or 1 to 5 year rates - and this is what affects the actual rate that you will receive . The amortization, whether it's 25 year or 20 or 30 will determine the payment based upon the rate you have with your mortgage. This is the latest video from TREB that talks about the real estate market forcast for 2011 and 2012 in the GTA, Toronto and area, enjoy! Can you solve this mystery about which sign is correct? 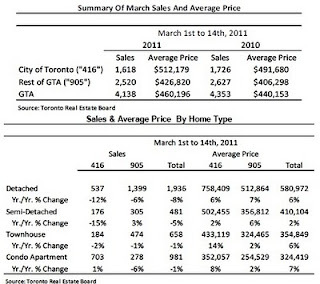 TORONTO, March 16, 2011 -- Greater Toronto REALTORS(r) reported 4,138 sales during the first two weeks of March 2011 - a five per cent decrease compared to the first two weeks of March 2010. The number of new listings also dipped - down by 15 per cent compared to the same period last year. 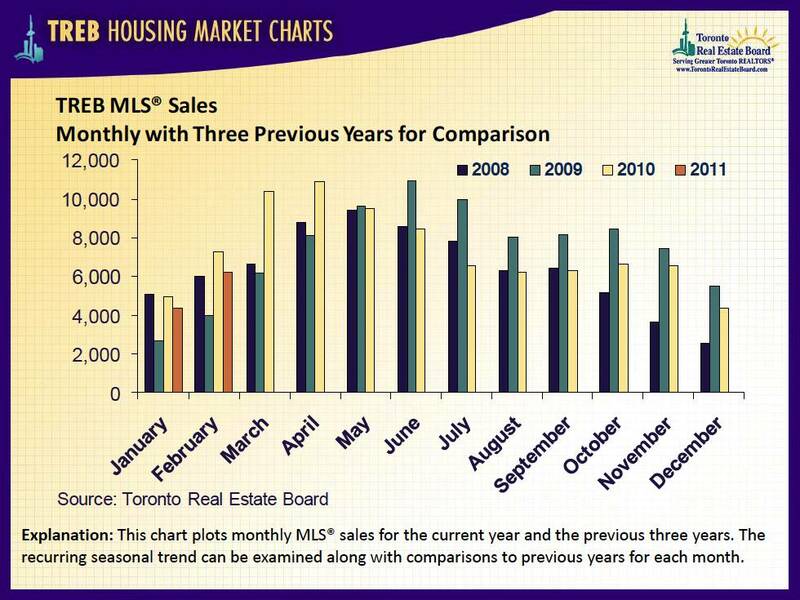 The question that a client just asked me was "Dear Mark, Should I buy my larger home this year or wait??" Thank you for your real estate email inquiry. This is not an easy question to answer. Nobody knows 100% but if the past 16 years are any indication and if the last 2 months are any indication, then you should be trading up now rather than waiting. 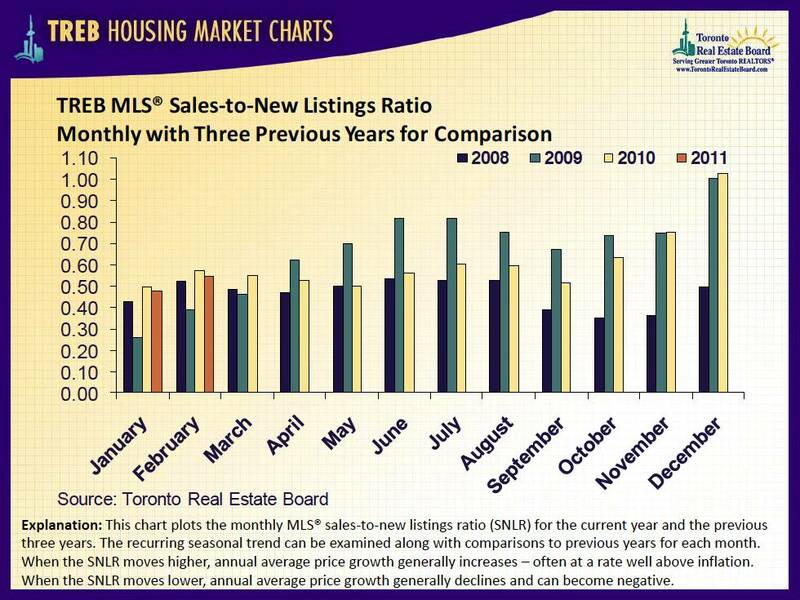 The real estate companies have almost all increased their predictions on price increases for this year. 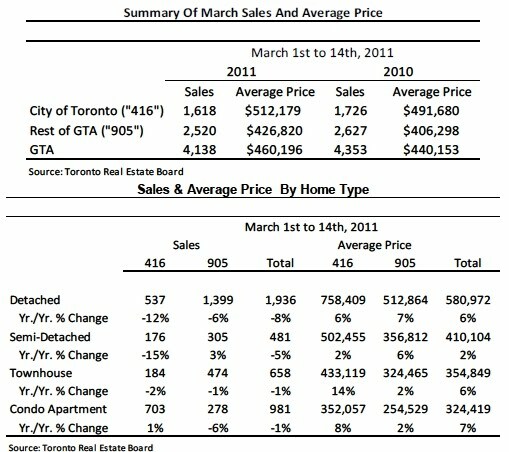 Initially many were saying that they expect a 2 to 4% increase in prices, now it's more like 4 to 7% and even higher. 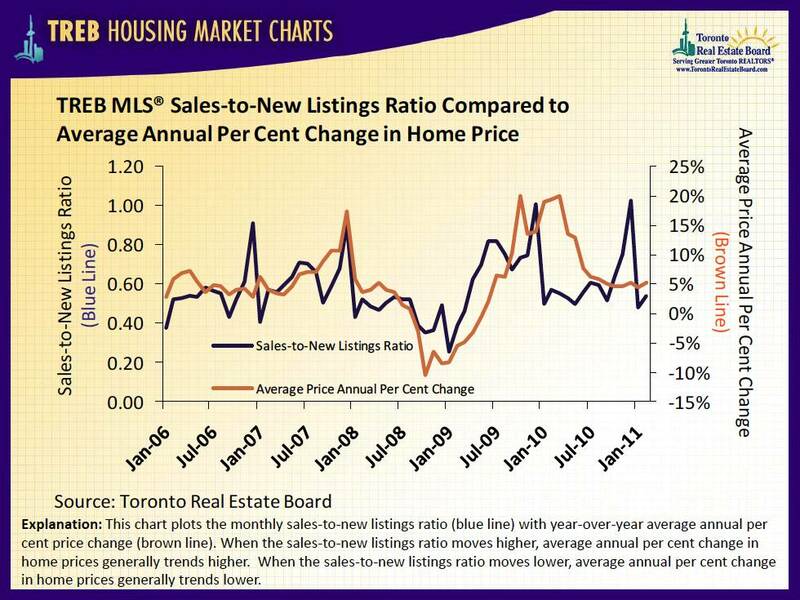 When the market prices increase the larger homes always increase more. 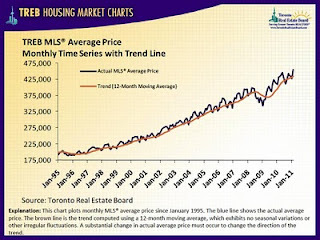 For example, if you currently live in a $300,000 townhouse and prices increase from March 1 to June 1 by 5% then the townhouse will increase by about $15,000. 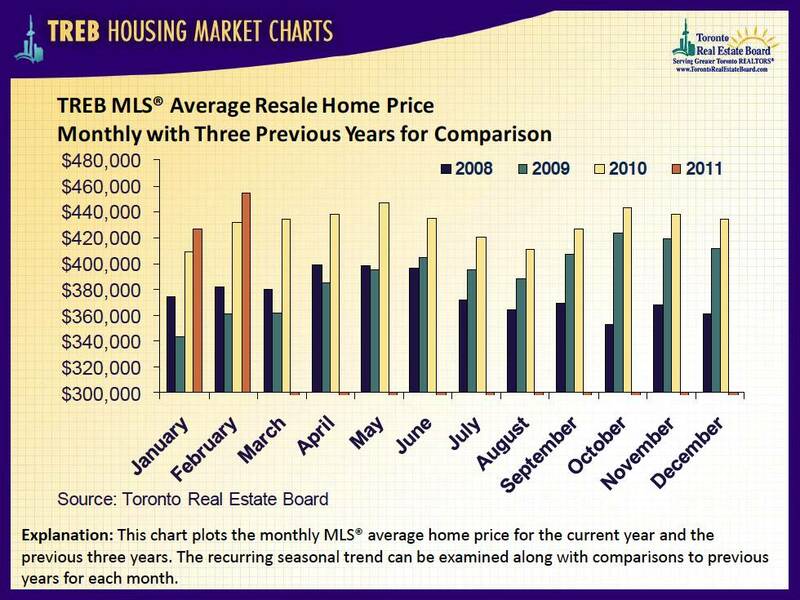 But, a home that is currently $400,000 will increase by at least $25,000 to maybe even $40,000 or more. This is always the case. 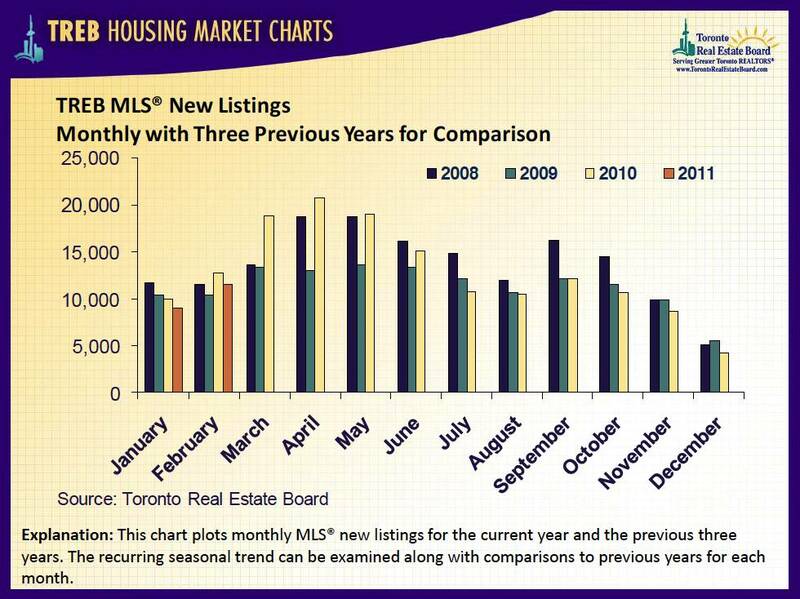 The larger priced properties increase more. 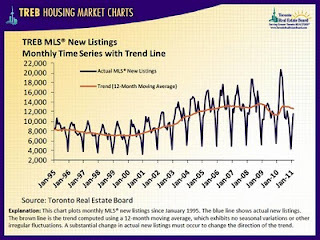 Again, nobody can know for certain what will happen in the future, but it appears prices in the GTA will continue their steady upward slope for the foreseeable future. driven largely by payroll tax cuts. same reading for four months now. 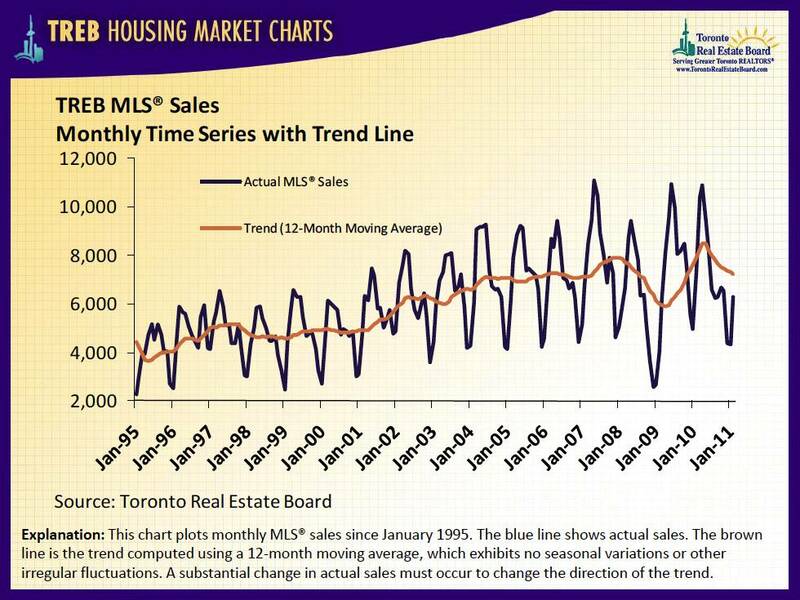 soon enough to save real spending in Q1. 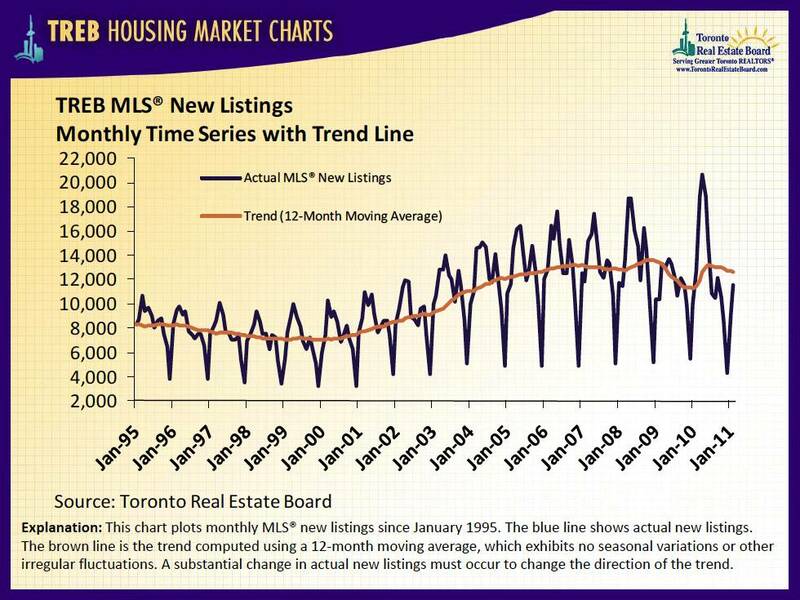 growth will pick up to further underpin sustained spending growth ahead. * Rates may vary and are subject to change without notice OAC, EO&E. 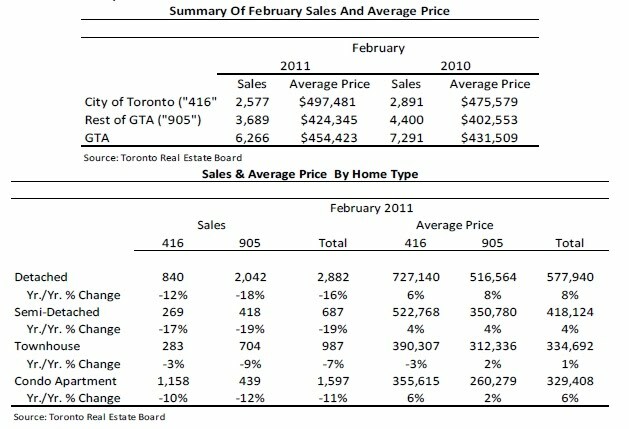 TORONTO, March 3, 2011 -- Greater Toronto REALTORS® reported 6,266 transactions through the TorontoMLS® system in February 2011. 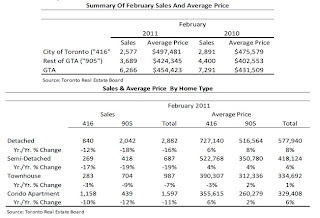 This result was 14 per cent lower than the record sales reported in February 2010.
becoming bullish on the Canadian real estate market for the upcoming year! 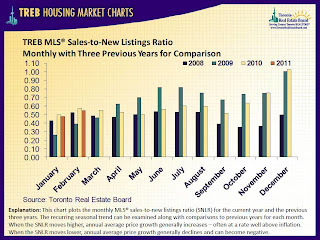 to understand local market trends." with the ten year average. 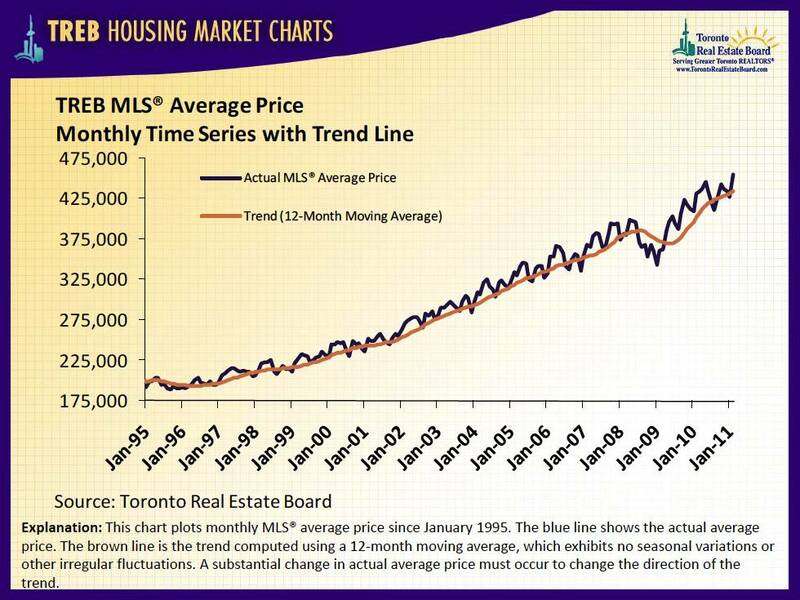 buy more home than they can afford when interest rates inevitably rise,"
resulted from additional transitory factors." 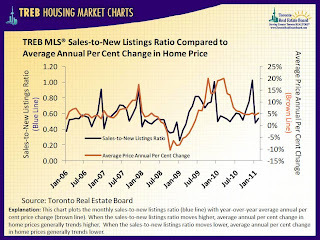 keep the housing market in balance, which will keep home prices stable,"
This is a video by the Toronto Real Estate Board (TREB) about statistics and comments on the general state of the resale real estate market in the GTA. It's less than 3 minutes long, but a very informative video, enjoy!